Banana almond cake with five star chocolate. Got few five star chocolates from India. 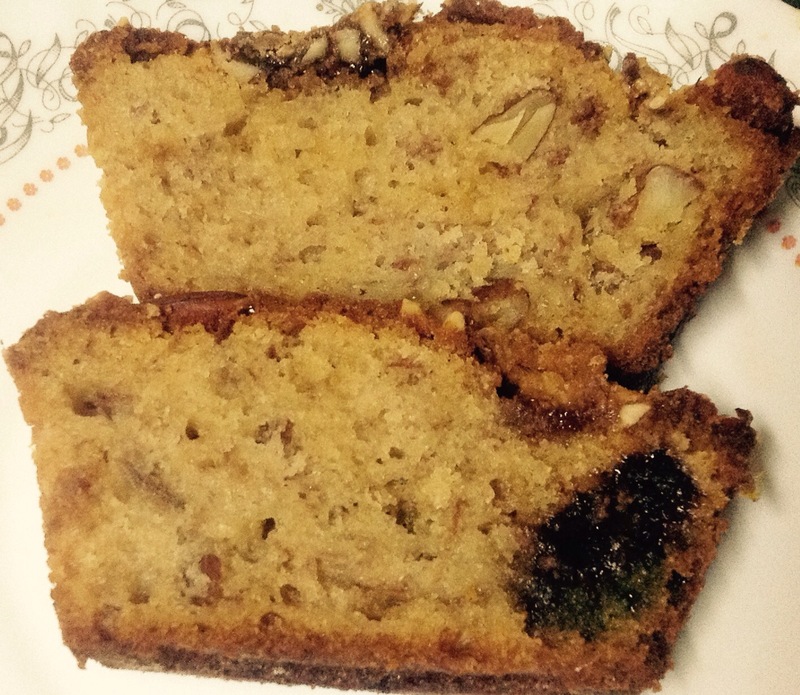 Two were left and thought of making this delicious almond banana cake. My son Kutkut calls it hide n seek cake because we hide five star chocolate chunks in the cake batter and they become little dark in the baking process(u can see in the pic too). Than you can taste that heavenly flavor of panjiri in cake. If you have chocolate toffees and banana at home than pls try it. But avoid making it if you are looking for eggless recipe. My three four attempts were big failures. Preheat the oven at 180 degrees. Keep this temperature intact for cake making too. 2- First mix all purpose flour with baking powder, salt and baking soda than put chocolate chunks to mix well.Now put almonds and mix all very well in a big bowl. 4- Mix all very well for few minutes till you get fine mix. Mix it with hands and pls dont use any electronic gadget. 5- Mix dry and wet ingredients together. 6- Now grease a loaf pan and pour the cake batter into it. 7- Spread all the 1/2 cup full of chocolate chunks and almond over this. 8- Slide the loaf tin into lowest rack and back for 65-70 minutes at 180 degrees. ** This is a thick batter cake. *** If your oven got manual setting with knob for one hour than after ten minutes pass put the know back to start of one hour that way you will get 70 minutes to bake it. **** You can try this cake with chocolate toffees too. 5 Ways rich guys can live life like Sid Mallya!